Sylvia dear, I hope the good news just keeps rolling your way in 2005. I got a little bit of good news myself. Gina, the very nice editor at A Hint of Seduction, has decided to put my little story in the special, Feb issue of her e-zine. It's special because it's not only the Valentine's Day Isssue, it is also A Hint of Sedcution's one year anniversary. So I'll have to wait a month longer for my story to come out but I am very honored that she chose my story for her anniversary issue . Thank you!! And congratulations on making the anniversary issue!! note to self: Read February Hint of Seduction!! Okay, for some reason this message board hasn't allowed me to post to individual messages. So....my offer stands on the chili mix. So, Sasha, Sylvia, Steph & Marguerite (I think) and anyone else...e-mail me your address and I'll send you a pack next time I get to the store. Cincinnati chili is very good. And, i think it was Steph who said her DH said Skyline was great but Cincy had another one too??? Yep, that would be GOLD STAR!!! Sorry for the weird post but This is the only way I can post right now. It's that Darn WORD challenge. We are all panicing because we're a week into it..and haven't reached our goals yet. See, all I do is shoot out a Snoopy letter to my 15 old folks and I'm done for the week!!!!! It requires to think like the dog for about 1o minutes and the dog is so weird that he always gives you inspiration! Thanks. I plan to tweak it to match my site like my other board, when I get the time. I loved the other one, but I don't think it was as safe as it should have been and I have much less stress with this board up. Is it me or has it been slow in here???? It has been slow. I think everyone is busy with projects, I've been on deadline. I owe you a thank you card and it's coming, I promise. I intend to catch up on all my thank yous tomorrow. I hope you're doing well. I'll be catching up on all the things that fell by the wayside this last month and a half. I can't believe it's the middle of Feb. This start of the year has flown by in a daze. No thank you necessary. Catch up on whatever you're doing. Did you try the chili??????? I hope you're doing well.Â Â I'll be catching up on all the things that fell by the wayside this last month and a half. I can't believe it's the middle of Feb. This start of the year has flown by in a daze. Yes, Linda. We made the coney dogs and they were yummy!! Thank you so much. Hey Sylvia and everyone else! 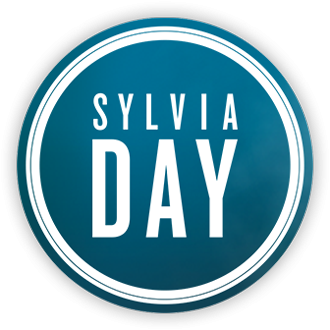 I didn't even know there was a Sylvia Day message board until today!! I'm Melissa, or Mimmi as I'm known on some boards. I'm the moderator on the Wicked Writers loop~~ya'll should hop over and visit us!! It's great fun, and very friendly!! We'd love to have you!! I love the Sinners idea~~Syl is incredible, is she not? Wonder Woman!! Book pimp, huh??? LOL, I can relate to that!! It used to be really active, but then I started getting spammed like crazy. Ugh. Now the software seems to be more secure, so hopefully we'll get things hopping again. Syl is incredible, is she not? Wonder Woman!! Thank you. I wish. *g* I would love to be able to clean the house in 5 mins. or less! Hi! New here myself as I never realized Sylvia had a message board. I read her blog all of the time but never made a connection that she had one ! Anyhow...I'm looking forwards to getting to know people here! I "discovered" Sylvia earlier this year and am now trying to catch up like a madwoman! Hello! I am new here as well, and I am in love with your books, Sylvia! They are amazing, and I love them! This site looks like a great place. I never knew there was a message board, though. I am glad I found it! Again, Sylvia, this is a great site! I am also new to the board. And let me tell you, I just love your books Sylvia! I can't wait to start chatting with everyone. There's a Halloween prize fest going on at Writerspace tonight. Lots of chances to win! For more information go here: http://www.writerspace.com/halloween I won't be attending the chat, but I did donate a prize. I'd love one/some of you to win something! So many great books in the prize pool. So glad amazon recommended your book! I Love crossfire books.